These owners say: Why not? Milton Chu was driving to the grocery store when his passenger asked him, “Doesn’t that noise bother you?” “What noise?” he said, listening for a rattle or knock he hadn’t noticed before. 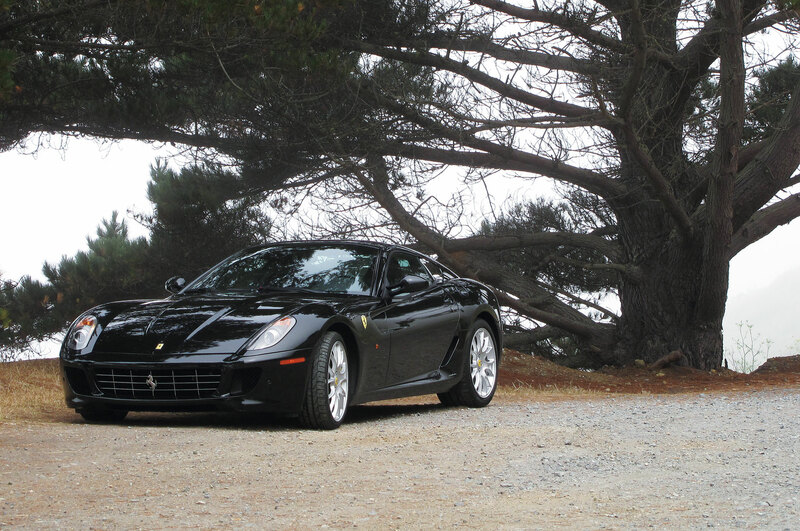 Chu was accustomed to the stirring V-8 aria because the Ferrari California was his daily driver. By the time he traded it in, he’d accumulated 77,000 miles over four years. 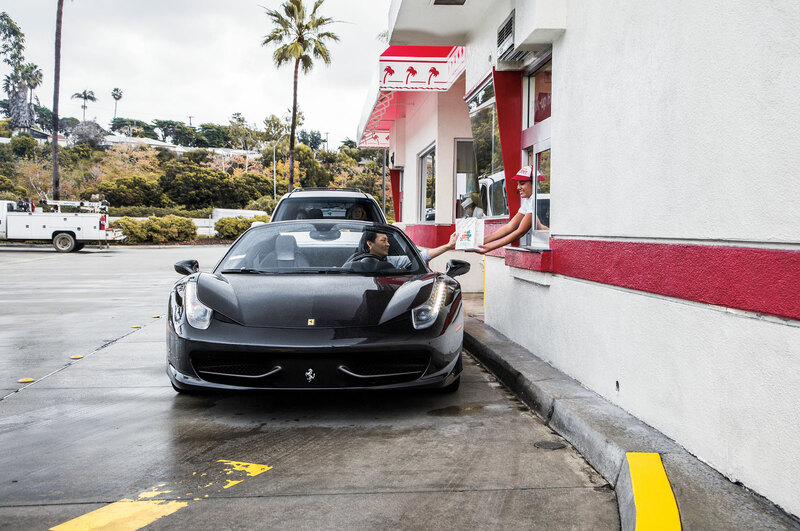 His new—and only—car is another Ferrari, this one a menacing black-on-black 458 Italia Spider that he uses for everything from his weekday work commute to weekend trips to the hardware store. 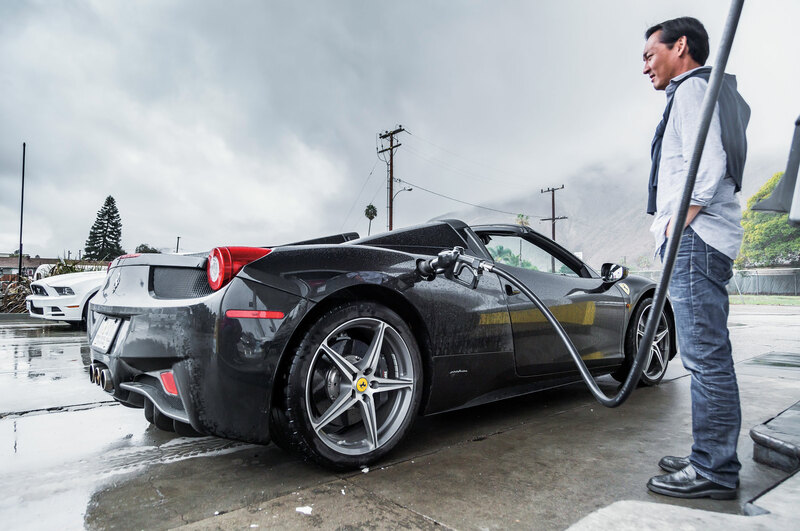 Milton Chu loads groceries into his Ferrari’s frunk before heading to In-N-Out Burger for a Double-Double. 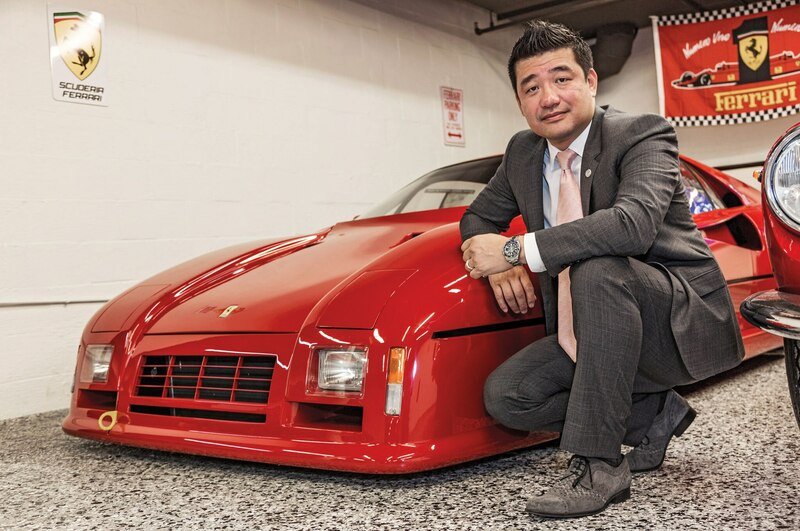 Chu, a 53-year-old ophthalmologist, is one of the rare and enlightened enthusiasts who drive their exotic cars on a daily basis rather than sequestering them in climate-controlled garages like museum-quality treasures that can be exposed to the elements on only the most exceptional occasions. Ferrari owners are a case in point. 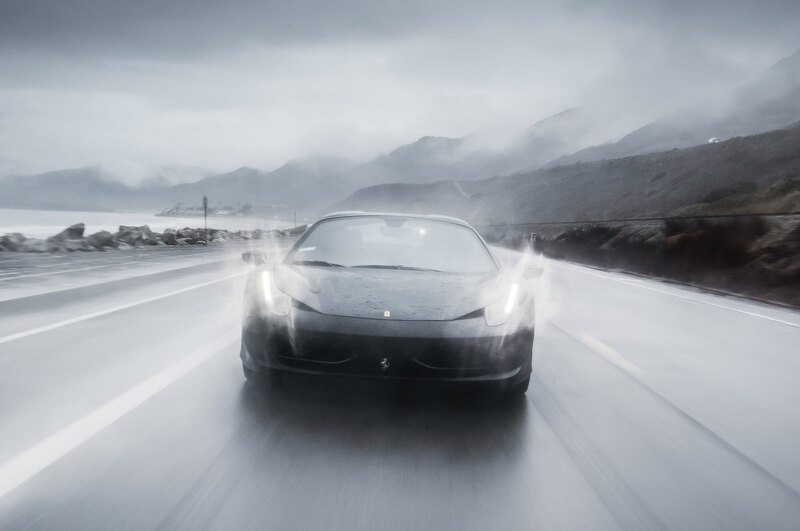 The company’s most recent survey found that American owners of the FF—the four-seater that comes closest to being a family car—averaged about 3,000 miles a year, while sportier Ferraris were driven even less frequently. It’s true that Ferraris from the early days of the electronics era are ticking time bombs. But the factory now offers a competitive warranty—three years bumper to bumper with unlimited mileage—and seven years of free maintenance on new cars. These days, frankly, just about any car from any manufacturer can be ridden hard and put away wet. With the last name “Barksdale,” Malcolm Barksdale is sort of required to own a dog. 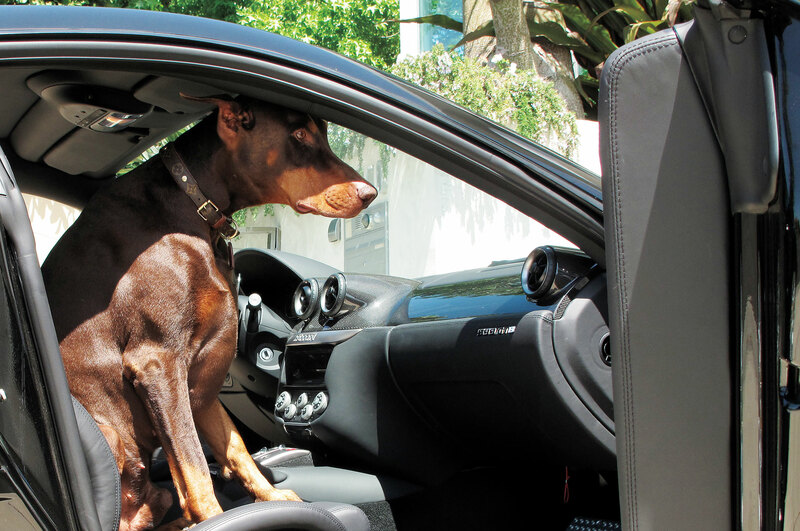 What did the Ferrari owner name his furry friend? Dino, of course. David Lee, on the other hand, is a car collector par excellence. 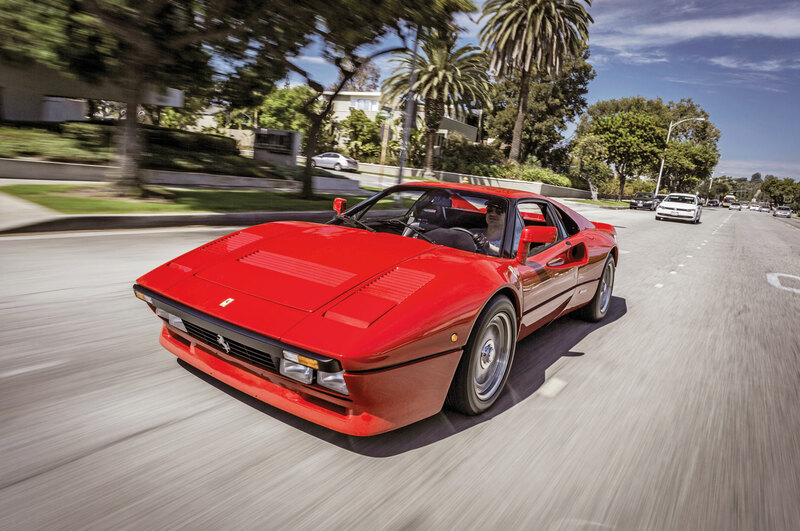 The 45-year-old owner of high-end watch and jewelry stores worked his way through a long roster of exotic cars before settling on an impeccably curated squadron of Ferraris—a 1967 330 GTS, a 1968 275 GTB, a 1985 288 GTO, a 1986 288 GTO Evoluzione race car, an 1990 F40, a 1995 F50, a 2003 Enzo, a 2014 FF, and his most recent purchase, a 1964 250 GT Lusso bought for $2.31 million. 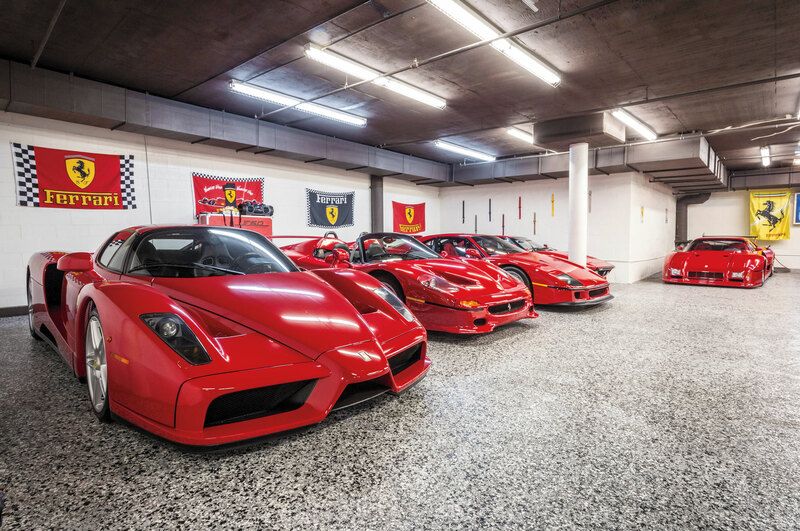 David Lee has this dilemma: Which Ferrari should I drive? Answer: A homologation- special 288 GTO. 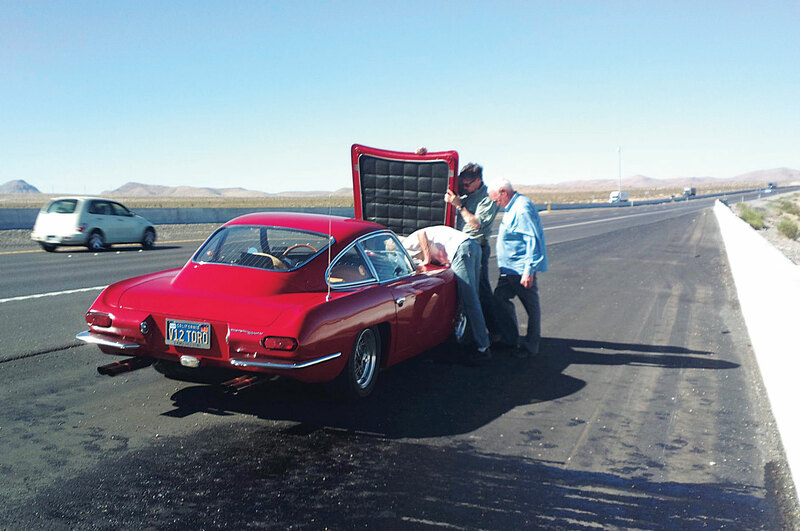 Jack Riddell’s 400 GT is going strong but has had its moments, like when it started spitting oil and coolant on a California highway. Riddell is 76 and retired now, but his 400 GT is still going strong. 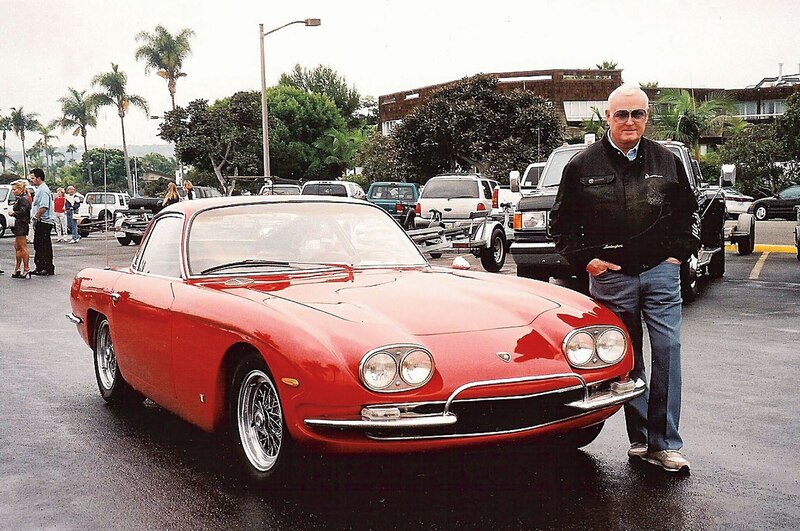 The odometer in his bright red car—which he painted himself, in his garage—shows nearly 270,000 miles, with a bunch of them added this past summer on a foray to Pebble Beach. Unfortunately, the car was sidelined near Santa Barbara by an oil leak through the front pulley seal. But he managed a DIY fix and drove it home to suburban San Diego. Ultra-exclusive supercar should have a sky-high price tag.